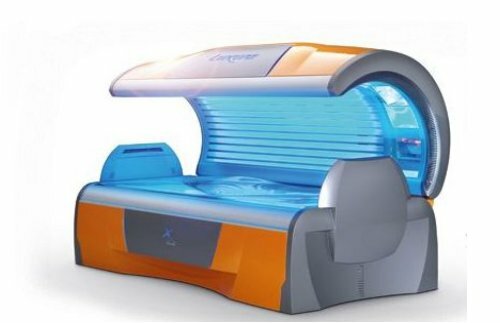 Now, the tanning bed has a new allure, the bold attractive look of it. Doesn’t it make you just want one! 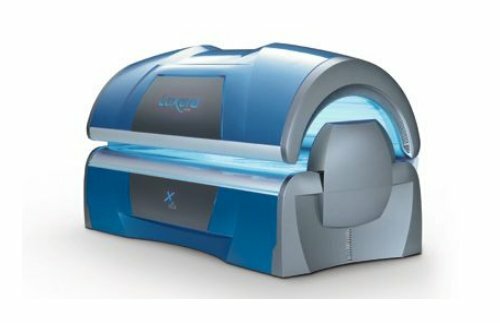 Loaded with lots of extras the Luxura x7 will be the choice of anyone who wants a comfortable even tan. Some key features are the surround sound, MP3 hookup, Smart Voice, CliMax air conditioning system, and Xsens which gives you a fragrant scent through the ventiliation system. The Luxura x7 comes in 5 bright pleasing colors of Starlight Silver, Mellow Lime, Sunrise Orange, Eternal Blue, and Bling Variant. If that’s not enough to convince you the functionality is impressive. This tanner offers a backflex/shoulder tanner to give you an even tan even on the hard to reach shoulder areas. Lay in comfort with the ergonomically shaped lying bed and get the tan you’ve been waiting for. Once finished you can cool off with Qsens, a system that sprays cooling refreshing water in the room via the ventilation system. Find out more benefits and information at Hapro. This entry was posted on Wednesday, July 23rd, 2008 by HDF and is filed under Tech & Gadgets. You can follow any responses to this entry through the RSS 2.0 feed. You can skip to the end and leave a comment. Pinging is currently not allowed.